Launched in 2013, the mission of the East Africa Character Development Trust(EACDT) is to transform the lives of thousands of disadvantaged young Africans through Character Education and sport. 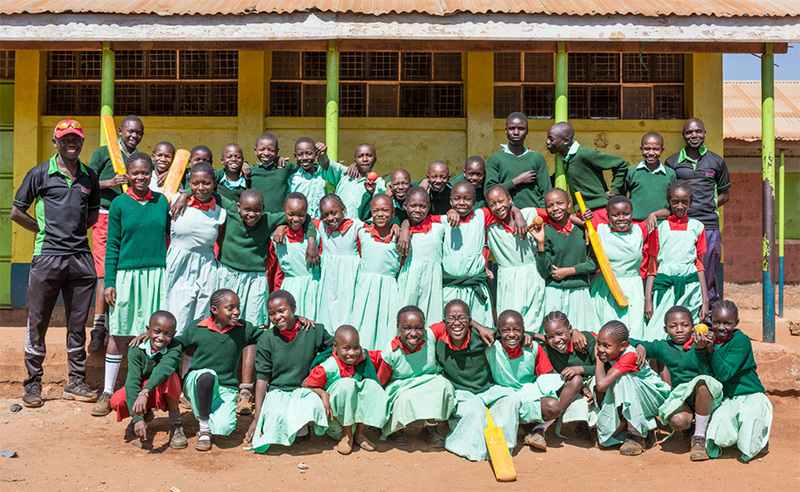 Approved by the Kenyan Ministry of Education and working in 17 schools in the Nairobi area, the EACDT is dedicated to improving the lives of children, some of whose stories you can read here. In a country with no no free secondary education and where youth unemployment is 55%, a good education is critical to a child’s future. Using a syllabus inspired by the work of the world renowned KIPP Foundation in the USA, we have developed an innovative programme that marries Cricket and Character Education. Success in life depends on more than academic learning. We instil character strengths deemed essential for development and success; and, as importantly, we empower children to express their voices and thus help them improve their own communities. As with many others, we believe that Character Education is incredibly important. In the United Kingdom the former Secretary of State for Education Nicky Morgan began the process of putting it into the National Curriculum. President Kenyatta of Kenya has also talked about the importance of both education and character. In Africa, where living and working conditions are much more uncertain and challenging and where de-stabilisation and extremism are real, major issues , it is needed even more. At every stage we aim to build the characters of the girls and boys in a deliberate, planned and structured way. Our Character Education Programme instils those values, skills and attitudes that enable children to reach their potential at school, at home, in their communities and in the workplace. Cricket lends itself especially well to developing essential characteristics. It creates a dynamic in which players are not only team members but are also individuals charged with particular responsibilities from which there is no hiding place. It demands high levels of concentration, strategic thinking, stamina and physical courage. It is a complex sport offering a range of different opportunities to contribute, on and off the field. Cricket’s best traditional values – play hard, play fair – are highly relevant to all aspects of the human experience. EACDT works with up to 4,000 children a week. We have 12 full time African cricket coaches, skilled in Character Education. Learn more about them here. Our Operations Director is a schoolmaster by profession, with an MBE for his work with under-privileged children. Most of the schools we work in are in massively deprived and dangerous areas. Many of the children have been orphaned by HIV/Aids. Their future could be bleak. But the work of the EACDT gives children some fun in their lives with cricket and in developing character, self control and confidence gives them hope for their future.